On a recent trip to the Finger Lakes, my husband and I were amused to encounter a wine list that was not exclusive to local wines. We were less amused when it happened again. As a pattern slowly began to emerge, we could not help remembering vacations to Sonoma County and Austria, where local wines dominated the menus and wine shops. Our conclusion: the lack of local pride within our own state was pitiful. In New York City, where we live, we have basically resigned ourselves to the fact that wine shops and restaurants cannot limit their selections, although it has always seemed strange that local wines do not have a stronger presence here. In Finger Lakes wine country, however, one might expect otherwise. The problem seems widespread, begging the question: What is it going to take for New York wines to get the presence they deserve across New York State? Why are they so difficult to find outside tasting rooms? These questions have been asked before, and responses typically fall along these lines: 1) the Finger Lakes produces lesser quality wines, 2) smaller-sized wineries cannot manage production at large enough scale to infiltrate wine shops and restaurants around the state, 3) these wines struggle to get picked up by the big distributors, and, when they do, they get lost among those distributors’ heavyweight clients, and, 4) New York wines simply cost too much for their value. These excuses can be easily dismissed. It’s no secret that Finger Lakes wines haven’t always been great. In the early days, quality suffered as wineries tended to focus on syrupy sweet wines from native varieties (the prevailing belief being that those were the only wines the region could grow). “It can’t be a quality issue” anymore, says Scott Osborn, owner of Fox Run Vineyards on Seneca Lake. Finger Lakes wines regularly take Gold and Best in Show awards on the international stage, and earn 90+ point reviews. In addition, frequent accolades in both trade and mainstream publications continue to draw attention to these wines and the region, as do the nods from winemakers and sommeliers around the country. New York wines seem to be associated with high cost, as well. New York City wine shop owner Marco Pasanella, in his book Uncorked: My Journey through the Crazy World of Wine, lamented that he cannot justify selling local wine at the $20 price point. In New York City restaurants, the average price of local wines–$44.98 for red and $37.68 for white, according to a 2008 working paper in the Journal of Wine Economics—does seem high, until a closer look reveals New York wines to be the least expensive compared to their domestic and international counterparts (with the exception that white wines are nine and twenty-one cents more expensive, respectively, than Australian and Washington State imports). 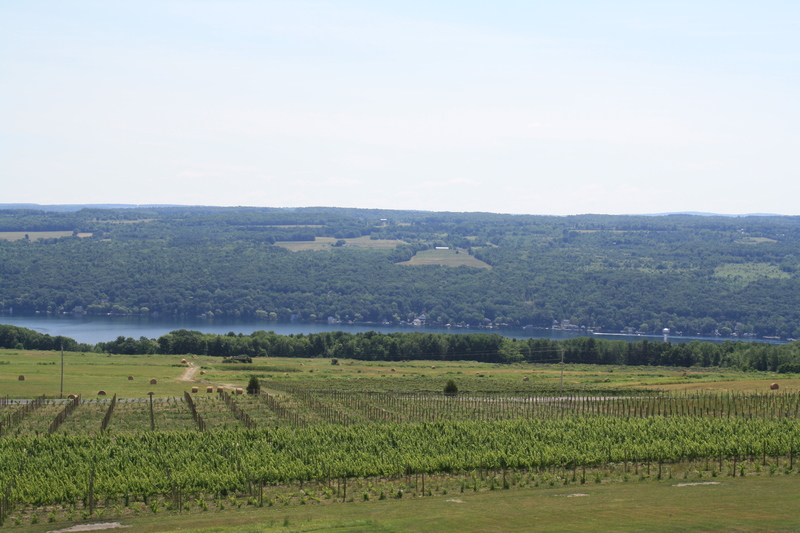 Having debunked the myths, it would seem that the Finger Lakes should be a major contender in the United States wine industry, if not around the world. Yet, Finger Lakes wines struggle to gain traction, even in their own state. The problem boils down to consumer perception. In an anonymous online survey conducted by this author (n=15), 80% of respondents said they were familiar with New York State wines, and had even drunk them in the past, but only 60% of those respondents agreed that New York produces quality wine, compared to 80% who agreed that California does. The vast majority (80%) were self-described as “intermediate” level of wine knowledge, too. “Certain prejudices still prevail,” agrees Osborn. “Those not following the serious wine story up here tend to assume we are producing the same types of sweet jug wines that dominated the scene 40-plus years ago.” Pascaline Lepeltier, Wine & Beverage Director at New York City restaurant Rouge Tomate, adds, “there is still work to do in terms of education regarding the high quality of production of certain winemakers.” The biggest challenge for Upstate Wine Co. owner Kevin Faehndrich in the early days of his distribution business was educating customers by exposing them to “new, unique, high quality wines” from the Finger Lakes. Even “local” themed restaurants in New York City offer international and west coast wines, but perhaps this is critical: while twelve (80%) of survey respondents agreed to, “I place importance on purchasing ‘local’ services and goods,” only one respondent (6.7%) agreed to, “I am more likely to choose wines from NY State over wines from other regions.”Rouge Tomate’s focus on quality ingredients that are true to place, with respect for the biological and social environment, means great opportunity for New York State wines. Yet although Lepeltier’s wine list comprises of 10% local wines, slightly less than 10% of wine sales come from those local wines, she notes—and not for lack of effort. “We really recommend local wines, especially to international clientele or non-New Yorker guests that visit Rouge Tomate,” she explains. 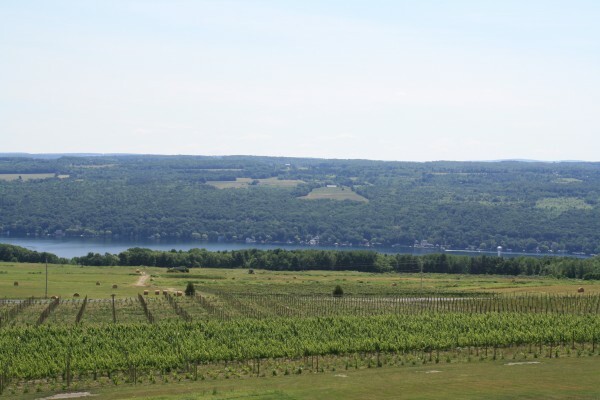 “A lot of New Yorkers know about them without realizing the level of quality.” She surmises that the image of both the Finger Lakes as a “concord grape” place and of Long Island as a beach destination still overshadow the regions’ wines. Blue Hill Farm’s trademark “know thy farmer” philosophy means a focus and transparency on local food sources; yet, only “a small amount” of sommelier Claire Paparazzo’s wine list is devoted to local wines. “We do believe in the local sustainable movement, but a lot of my list is devoted to farmers from all over the world who are working with the land in the most respectful way. I choose to honor that,” she says. Like Rouge Tomate, local wines account for about 10% of wine sales, and like Lepeltier, Paparazzo does her best to recommend local wines: “I really see the interest in local wines from people visiting from other countries,” she notes. “I don’t find the same interest in native New Yorkers,” she says, adding, “perception precedes quality” with customers. Currently, Sancerre and Oregon Pinot Noir are popular choices, ironic from customers who’ve chosen a restaurant specifically for its connection to locally sourced ingredients. Raymond Szymanoski, Director of Food & Beverage at the Ramada Geneva Lakefront on Lake Seneca argues that, “it would be hard to do a wine list with just the local offerings. With so many people coming through from different areas, not everyone would be sold on [my] offering just local wines. Some customers are just looking for names they know and like certain varietals that are not produced locally.” His wine list boasts 40-45% Finger Lakes wines, which account for 55%-60% of overall wine sales. “There is a great market for these wines and customers appreciate the offerings of local wines,” he concedes, noting that, while Finger Lakes whites are popular, “the reds are difficult.” Importing from other regions means meeting customer requests for certain varietals. Perhaps misperceptions of Finger Lakes wines are fading. In addition to the readiness of international visitors to try New York wines, “I see a shift in attitude, mostly with Millennials,” offers Osborn. “The younger restaurant owner/buyer/sommelier or the owner/buyer of a specialty wine shop doesn’t remember the ‘good old days of sweet jug wines.’” Without the prejudices of their older counterparts, younger customers “are looking at the Finger Lakes as a great American wine region,” he adds. Towers sees a shift, as well. “We are on the cusp of something big! Certain wineries have a cult following that buys them out of wine vintage after vintage. This speaks leaps and bounds to where we were 14 years ago when I started tasting Finger Lakes wines.” Faehndrich even sees it in New York City. “Buyers can afford to be extremely discerning,” he points out. 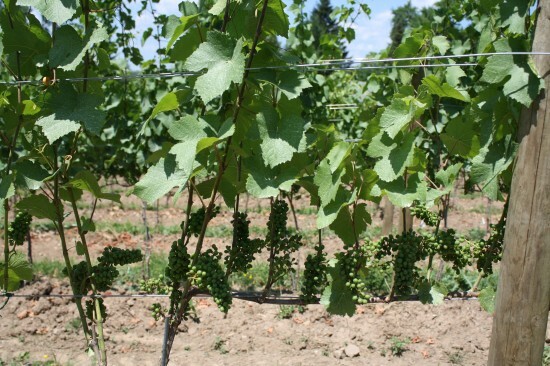 “Yet, I have seen a significant increase in market presence of Finger Lakes wine in the great NYC market over the last couple of years, which suggests that Finger Lakes wines are gaining traction. Perhaps the problem in New York City is that local wines get lost in the sheer volume of all that’s available. 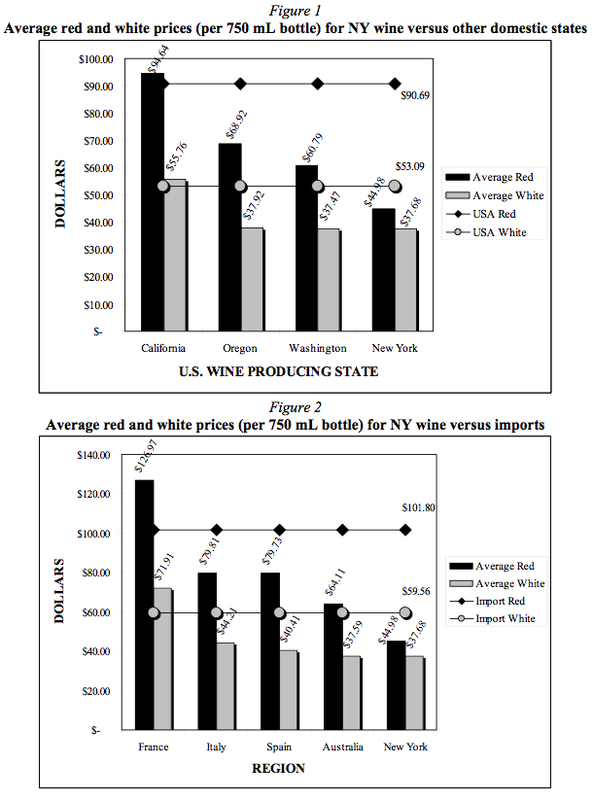 “The absence of strong New York wines sales in New York City is not necessarily due to a predominantly negative image of the product quality, nor to high prices,” concludes the aforementioned 2008 study by Preszler and Schmit. “Instead, low sales in NYC can likely be attributed to the lack of any specific image at all.” The scientists’ recommendation: “A coalescence of marketing goals and principles among New York winery stakeholders could make a difference in this regard.” The “Uncork New York!” ad campaigns are a great start. When asked what it would take to increase presence of local wines, Osborn recommends customers tell the manager or owner, because wait staff are “too busy serving you to remember at the end of the day to tell the owner.” Paparazzo suggests that, “time is going to the factor in getting people to open their minds and mouths to accept New York wines to be the flavor experience that they crave, but I feel people will accept it when they taste something that is good but don’t know where it is coming from.” This sounds a lot like the now famous 1976 Judgment of Paris, the blind tasting that pitted the best of French against California wines. California wines had been struggling with negative perceptions similar to what New York faces today, and the win for California brought legitimacy to the wines and was the first step in earning the global reputation they have today. Time, patience, and consumer education is critical; yet, this author can’t help but feel another Judgment of Paris is in order. Editor’s note: In the original version of this article, the name of Claire Paparazzo was misspelled. Palate Press regrets this error. Trent Preszler, the corresponding author on the AAWE working paper, is currently the CEO of Bedell Cellars in Cutchogue, NY, in the North Fork of Long Island AVA. The paper was submitted as part of a master’s degree thesis at Cornell University. It is truly amazing the lack of enthusiasm or maybe education between wine buyers in New York restaurants. There seems to be a disconnect between wine being a locally produced product and say a tomato or apple. Riesling, New York States flagship wine, is one of the most food friendly. I often am even unable to order any Riesling on a wine list. I’ve made it my personal goal to only dine at restaurants who support local. If other care about where their food and drink come from, there is no reason NYS restaurants will not be forced to recognize NYS wine or risk going out of business. I totally agree with you, Christine! It’s a big paradox and only through continued consumer education will we see any positive changes. Restaurants do what their customers ask, so asking for local wines (whatever state you live in) is another great start. Excellent article Kristina. Being in the Finger Lakes wine industry, I think Scott hit the nail on the head when he stated that millenials, who do not have any preconceived notions about the Finger Lakes, will be instrumental in the region’s growth. Younger consumers, who are more daring in the taste explorations and interested in developing their palates and finding new wine regions to tell their friends about, will help extend the reach of Finger Lakes wines beyond the region. And I have heard this from other winemakers, as well. I hope it’s the case. Thanks for reading! Since we opened in 2005 the Brown Hound Bistro (located near Canandaigua Lake) has served an exclusively Finger Lakes wine list. People squeaked at first, and we still get an occasional comment, but far and away people LOVE that we support our friends and neighbors and provide a Finger Lakes ‘experience’. We take opportunities to train our guests in the nuances of the regions wines, offer tastes for those who are unsure and organize events to promote our local wineries. We are proud of what the winemakers have accomplished in an area of challenging conditions and the wines get better every year! Interesting article. I’m not sure those myths can be as easily debunked as you stated, though. The chart in Preszler’s paper shows absolute cost comparisons. Not really useful, right? If the wines are cheaper because they simply aren’t as good, then that makes sense. Something like that chart and then a chart showing the average wine score for NY wines versus the others on the list might be more helpful. 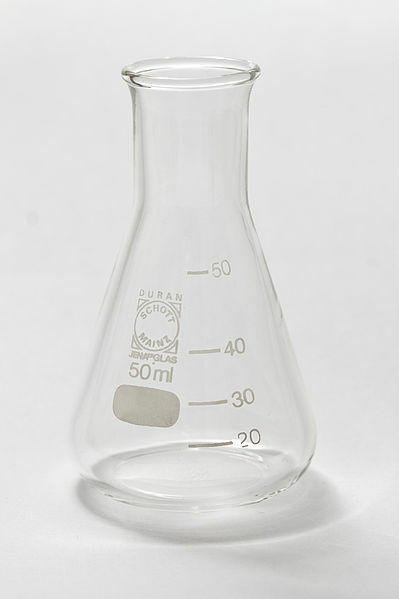 Or some factor/ratio that takes into account perceived quality-to-price. In fact, the quote from Osborne says this, but it was used to support the debunking! Really, in my mind, this all revolves around quality and price, whether the issues are perceived or real. Quick question: are Finger Lakes wines routinely getting 90+ scores in Wine Spectator, IWC, and Parker’s mag (the only three people really care about)? I mostly see a lot of 86-88 point wines, on the high end, with a lot in the lower-to-mid 80s when perusing the Finger Lakes notes. Your own study shows that the perception is that the Finger Lakes produce lesser quality wine than California. That only changes if/when ratings substantially increase for the NY wines. And then a requisite lag time must occur for the notion they are as good as Cali wines to be socialized to the general buying public. I mean, these aren’t screaming quality, especially when you can get German, Californian, or Washington examples for the same price but are ostensibly better quality. For what it’s worth, Wine Enthusiast (who I think is too lenient on scoring, as do many others) rated most of these in the same range as Wine Spectator. I didn’t cherry pick, either. I didn’t see any wines rated 88+ by a major rating publication from this producer, but plenty of wines over $15 – where’s the impetus to buy local if it’s not as good as imported? I don’t want to get into an argument about whether ratings mean a wine is objectively good. Also, Fox Run’s 2010 Dry Riesling scored a 90 and the 2009 scored an 89. But enough about points. WS and other publications rate wines blind, but the tasters are informed as to the region of the flight. True, this allows the taster to determine whether a wine has a sense of the place of origin. However, it also carries with it any internal bias the reviewer might have for or against that region. I am only playing Devil’s Advocate here. I agree, ratings certainly do not correlate to quality objectively in my mind, but to most people they do. I’m going through the ratings and seeing a huge number of low-to-mid 80s and not a lot of 90+, so in people’s minds it’s not amazing. To me, there are some really quality FL vintners, even Fox Run’s rieslings can be quite good. But most are not, if we’re being objective, when compared to the stuff that gets imported from Germany, Alsace, etc. It’s an uphill climb, at best. All are pretty much $30 or more, so the best (and most expensive) of the Finger Lakes are still only scoring in the low 90s and one is a dessert wine at $100. So, they don’t counter, in my mind, the argument I was making…economies of scale will be an issue for all but the biggest FL wineries. I agree that ratings drive perceptions, though I must reiterate that previously held beliefs will influence even those reviewers who taste “blind”. I also agree that economies of scale is one factor that affects pricing in the FLX. Another is the sheer cost of growing grapes. In a moist climate like most of New York state, powdery, downy, and botrytis are major, major issues that affect the price of grapes and wine. And like many developing regions, quality is highly variable. The best producers carry the standard, but selecting producers at random can be a bit dodgy. But keep in mind that there are at least 3,500 wineries in California and only 200 or so in the Finger Lakes. Agreed – and I would add that I could probably find wineries in California that are producing 80-point wines as well. I would also say that the average consumer does NOT review points in advance of running to the wine store. Americans love to associate price with quality; I like to think that the higher costs of CA wine are the result of the more expensive land and higher operating costs. But, I think Tom G proves my point: there is a perception out there that FLX wine are still playing in the minor leagues, that they are not serious contenders. Why is it that one or two New York wines that are not liked cloud a person’s perception of the entire state’s industry, but a French or Californian not liked is not made representative of its entire industry?